From themed rides and LEGO brick building stations to musical fountains and roller coasters, LEGOLAND California has something to please all ages. 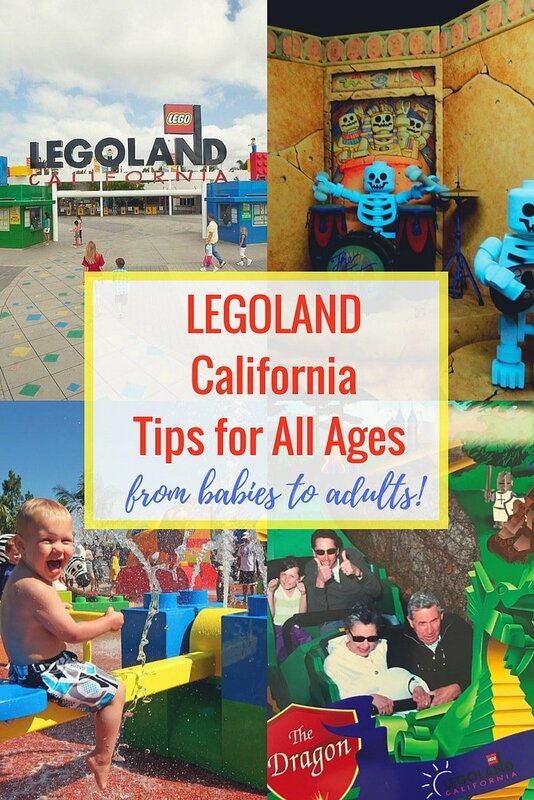 Read on to learn from two experts which rides, attractions and dining options are best at LEGOLAND California for babies/toddlers, kids, teens and adults. I spent a day at LEGOLAND California with the woman who literally wrote the book on LEGOLAND. My daughter and I rode rides, explored play areas, and ate apple fries with the author of The Unauthorized Guide to LEGOLAND, Bridget A. Smith, and two of her three kids. It was like having our own personal tour guide to the park. I know a lot about this theme park, too. 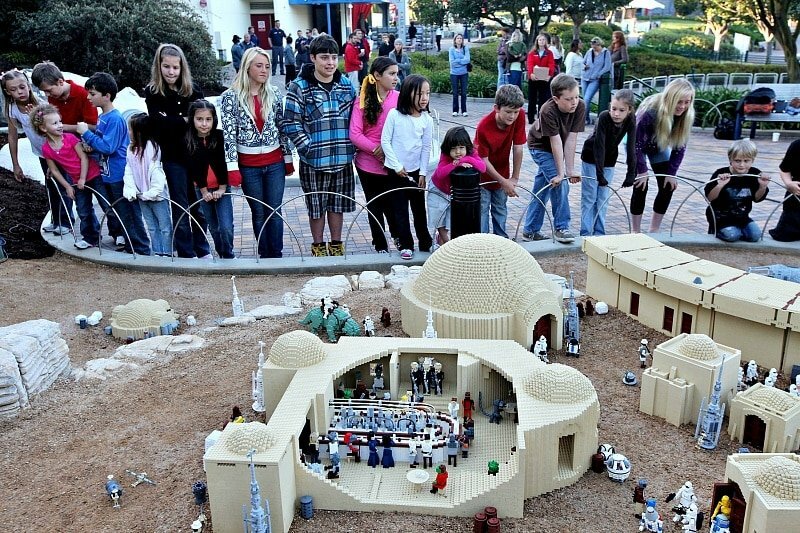 As a former SoCal mom, I have been to LEGOLAND California many, many times. I was even a annual pass holder for a few years. I asked Bridget to share her thoughts on LEGOLAND California’s best attractions and food. Here are some of her picks with a few of my family’s favorites sprinkled in. The Water Works Magical Fountain is made of musical instruments formed from LEGO bricks. Kids stomp on the circles in front of the drum, trumpet, harp, or other instrument and its musical sound chimes in. It’s just a joyful, unique experience. 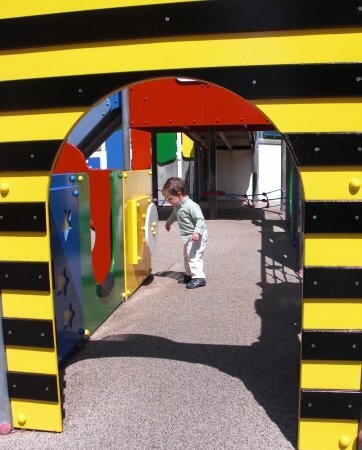 This play area is filled with slides, pretend vehicles and buildings, and a crawl-through maze. This is a great place to relax a bit while the kiddies play. What kid doesn’t want to drive a miniature car around a track all by himself? To quote the Unauthorized Guide, “This ride is a great rite of passage. At the end of the ride your child will receive an official LEGOLAND driver’s license.” The Volvo Driving School is next door for kids ages 6-12. This is a favorite of preschoolers and kindergartners. Kids straddle pretend horses that trot through a forest dotted with life-sized LEGO knights and other characters. My family loves this roller coaster! It starts out with a mellow riding tour through a castle filled with humorous LEGO medieval scenes. Then, as the guidebook explains, “Suddenly the roller coaster takes hold and you find yourself outside in a roller coaster that has some zip to it.” I like that it’s fast enough to get your heart pumping a bit, but not so scary to deter brave young children. I also appreciate the details of the funny markers on the gravestones in the make-believe cemetery through which you will wind if the line is long. 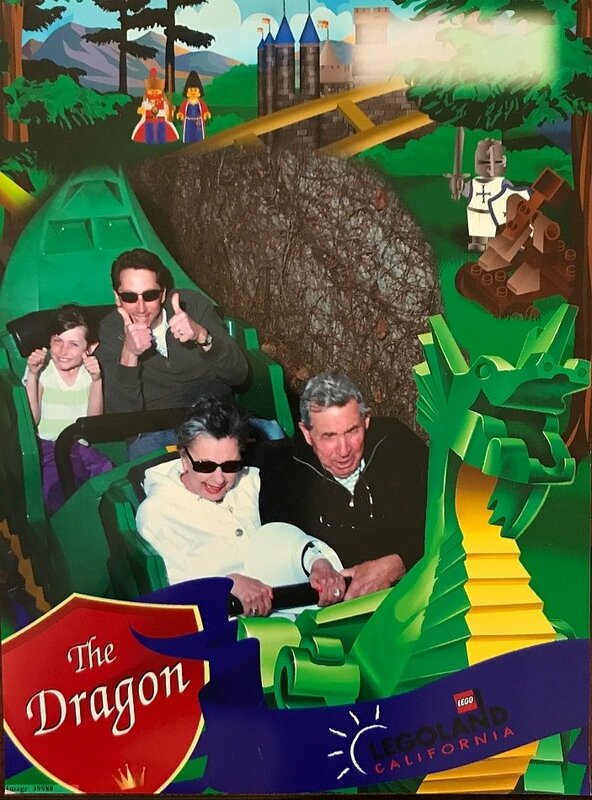 The Dragon just so happens to be the first and only roller coaster my in-laws have ever ridden! This is Bridget’s oldest son, Justin’s all-time favorite ride. The guide says, “It is not for the faint-hearted. I have never seen anything like it at another park. Giant robotic arms like the one used in automotive assembly plants to weld on car doors spin you around and almost dip you into a slimy moat.” Riders can pick the intensity level of the ride. 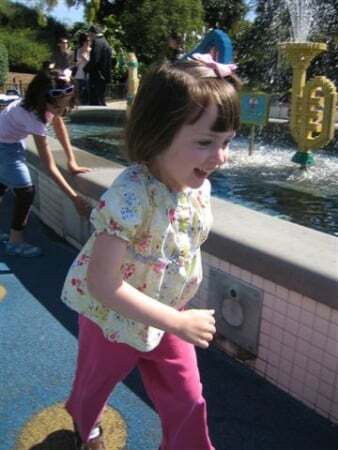 Bridget says, “This signature attraction of LEGOLAND California is fun for the whole family. Miniland is a collection of American landmarks from seven different geographical regions of the United States constructed with more than 20 million LEGO bricks at a 1:20 scale.” Star Wars fans will especially get a kick out of LEGO STAR WARS Miniland. My husband always insists we eat at this made-to-order buffet-style restaurant for its outstanding Philly cheese steak sandwiches. You can find something to meet everyone’s needs here from oriental chicken stir fry, to an extensive soup and salad bar, plus kids’ meals. We save money (and room in our bellies!) by splitting a sandwich so we can indulge in Granny Apple Fries afterwards. On a hot day, you will definitely want to bring swimsuits and towels for the kids and head over to Pirate Shores. This area encompasses several splashing attractions. Bridget explains, “This is one of the most fun areas at LEGOLAND and a great place for parents to take a break. There is only one entrance to the area, so you can keep an eye on the kids. Any kid who loves water play will want to stay there for hours.” Pirate Shores is included with a regular ticket to LEGOLAND California. 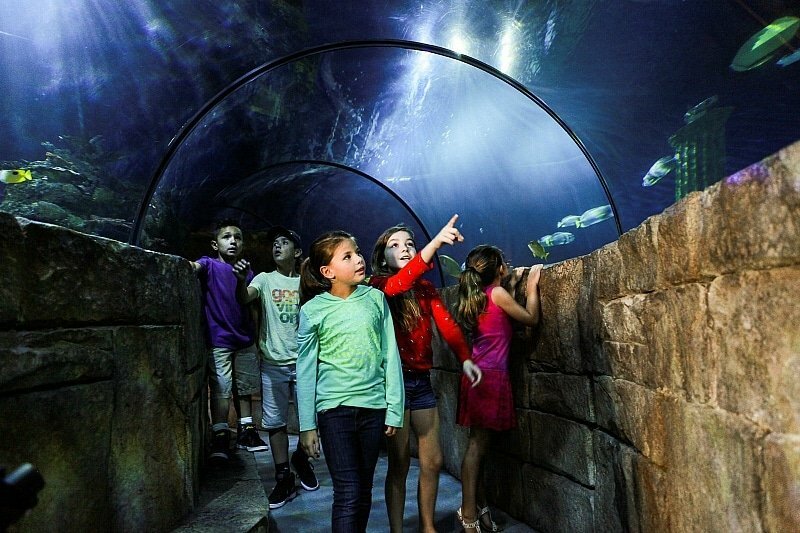 With a LEGOLAND/SEA LIFE Hopper pass you can visit the adjoining SEA LIFE Aquarium during a visit to LEGOLAND California. This aquarium makes a cool addition to a day at LEGOLAND California, or you could come here on a separate day to explore. There are plenty of fish and marine life on display in educational, fun displays. Pop-up bubbles allow kids to get a feel for what it would be like to live under the sea. 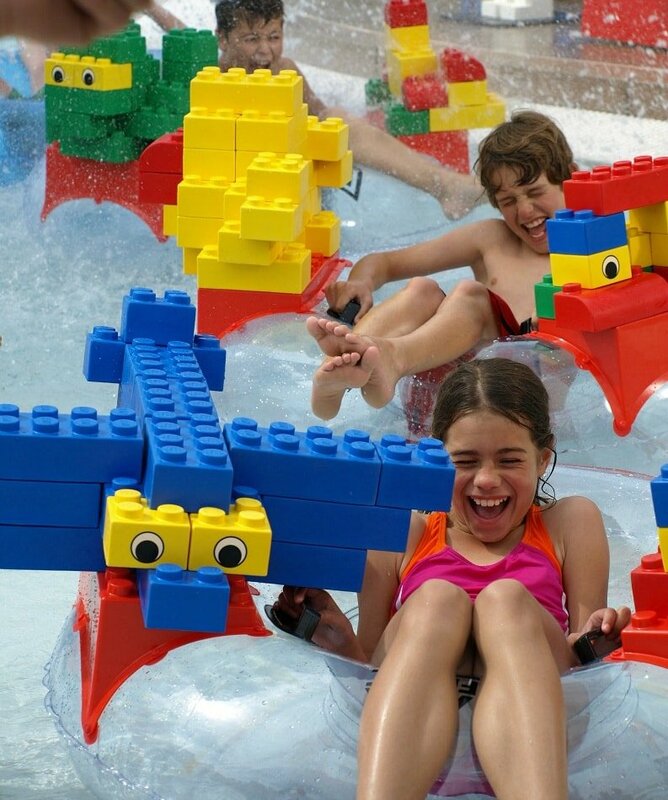 Opened in 2010, the LEGOLAND Water Park is a wonderful place to cool off and have fun on a hot Southern California Day. Play with foam bricks while you float down Build-A-Raft River or take a spin on one of the water park’s many waterslides. Splash Zoo is filled with DUPLO animal fountains for kids ages 1 to 3. You could easily spend your entire day at this water park. If LEGOLAND California and other Carlsbad attractions will be the primary focus of your vacation, I recommend the following hotels. West Inn & Suites ~ This affordable hotel is one of my favorites in Southern California. Families AND pets are given a warm welcome here. A free shuttle takes guests to LEGOLAND California, the Carlsbad Flower Fields, the beach and anywhere else within a five-mile radius of the hotel. There’s also a complimentary full breakfast every morning, a selection of board games to borrow, a microwave and refrigerator in every room, and complimentary WiFi. Read my full review. LEGOLAND Hotel ~ For true LEGO lovers, nothing could top a stay at this thoroughly themed hotel. It’s all about the kids here. 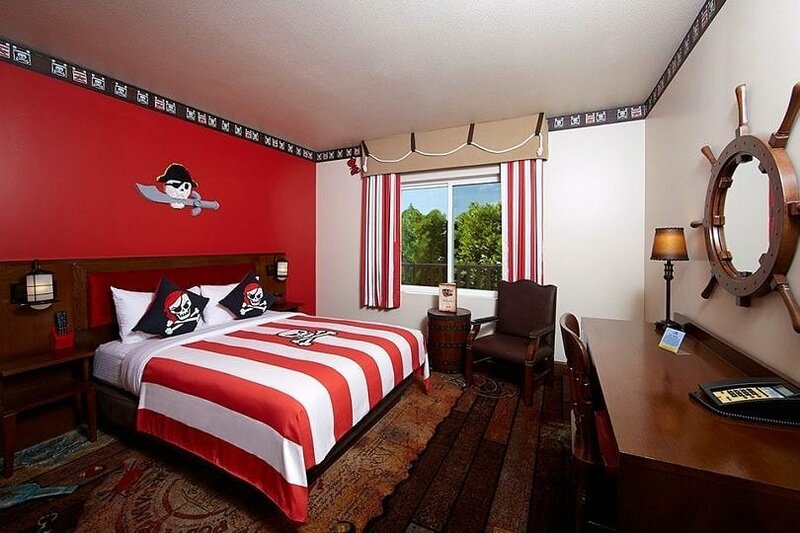 The easy access to LEGOLAND California, LEGOLAND Water Park, and SEA LIFE Aquarium make this hotel a great pick for families with kids who still nap. Read my review and watch a video of the LEGOLAND disco elevator! Read about the best San Diego County hotel options for families now. To learn more, read my tips for visiting the LEGOLAND Water Park. You may also want check out my Guide to Carlsbad, California. If you want in-depth LEGOLAND California tips and tricks, I suggest buying your own copy of The Unauthorized Guide to LEGOLAND. Do you have any tips or questions about LEGOLAND California? Let us know in the comments below! A Note from the Travel Mama: I received a PDF version of The Unauthorized Guide to LEGOLAND from Bridget A. Smith for the purpose of this blog post. This story originally went live in 2010 and was updated with new information and photos in 2017. The lost kingdom adventure looks awesome, my daughter loves history and Egypt she would love this! We would love to see the SEA LIFE Aquarium! We have been to Legoland, but not the aquarium and my boys love to go places to see sea life! I became a Travel Mama…can’t wait for the emails! I would love to do the Water World with my kids. My little girl is almost 2 and I think she would love it. I have so much fun watching her enjoy new things that make her smile. I’d like to experience the Royal Joust because it looks like so much fun. I would love to see the Sea Lie aquarium! Look fun!!! We would love to revisit the Sea Life aquarium. A great place to go in the summer on a hot day. I’d love to try the Build and Test! I did the Renaisance Festival in Minnesota once. Its alot of fun with street acts like jugglers, jousters on horses, etc. Would like to see this too!! I would love to see Miniland. It would be very impressive to see all the buildings built in Legos. I would love to win this as we are planning a trip to Disney soon and it would be perfect to see Legoland as well! My kids would love the Aquarium! I think the pop out bubbles would be a lot of fun little ones to explore underwater sea life!! I want to win tickets to LEGOLAND on TravelMamas.com because my two little boys would have a blast!! They love LEGOS! And their parents would love to play there too!! Email subscriber and ready to be a travelmama!! Pirate shores. Kids would have a blast and I could bask in the sun and dip when I wanted to. Fun! 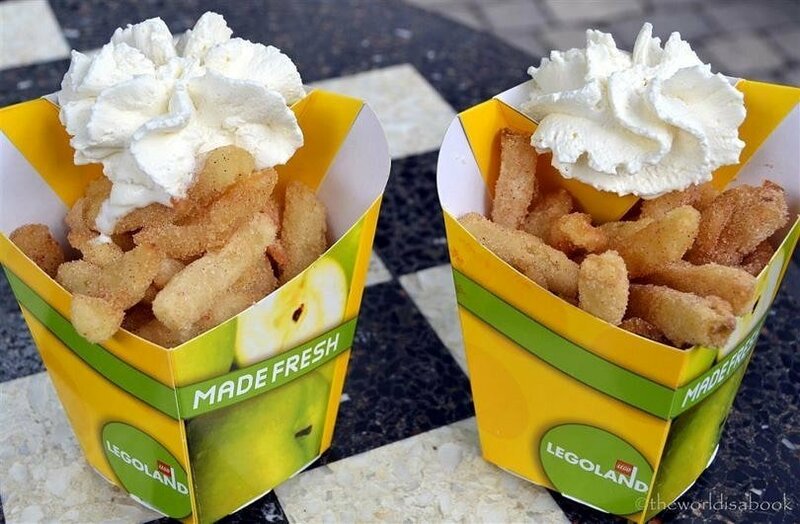 Sign us up…we’re ready to go to Legoland. My favorite attraction would be the aquarium- if you have seen my blog- I am always talking about how much I wanted to be a marine biologist and love spending days at aquariums to this day!! My daughter would love the Lost Kingdom Adventure. Looks like fun. Pirate Shores! My daughter loves water attractions! This is an amazing chance! Thanks! At this very minute, I am most excited about Granny Apple Fries (Castle Hill) because I am reallllly hungry and these sound AWESOME! I would love to take my older kids to the Lost Kingdom Adventure and my younger kids to the fairy tale land. Theme parks are best suited to family trips, and peer trips. LEGOLAND is just one of the best that I have ever visited so far together with my kids. We stayed there till our hearts contents. Actually, we never get contented. As we try every ride we keep wanting more. How fun! I’m creating two Lego themed birthday parties: Lego Star Wars and Lego Ninjago. 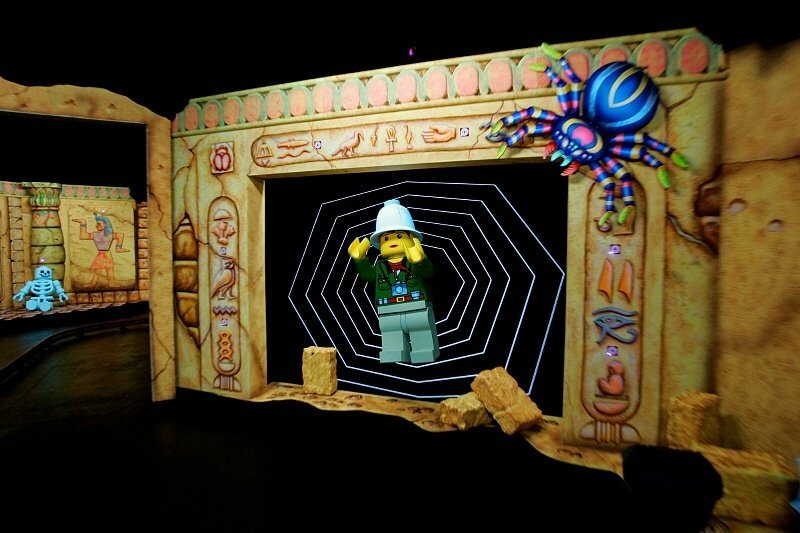 How awesome would it be for us to see Legoland up close and personal! Bet my creative juices would get flowing for sure! It looks like a ton of fun! I’m hopefully gonna go soon! This place is definitely great for all ages! I hope I get to go there soon and enjoy the adventures! 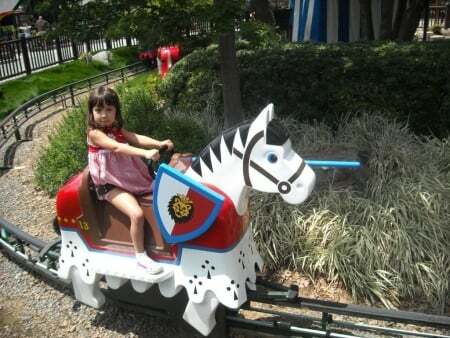 Hope you can get to LEGOLAND California soon, Agness! This is a great getaway for the kids and the parents. Looks like great fun! LEGOLAND really does have something for all ages, if you know which attractions to choose for everyone! Wow. This is the best place for a family vacation. I love to visit it one in life. I hope you can visit a LEGOLAND one day, Sapana! They also have parks in Denmark (the original), Dubai, Japan, and Orlando, Florida. Wow, so many adventures for kids of all ages! As for me, I think my son will like the Sea Life aquarium most especially in summer days. Frank – They’ve got a really cute little slide in part of the aquarium that just thrills little ones. (It’s the simple things!) 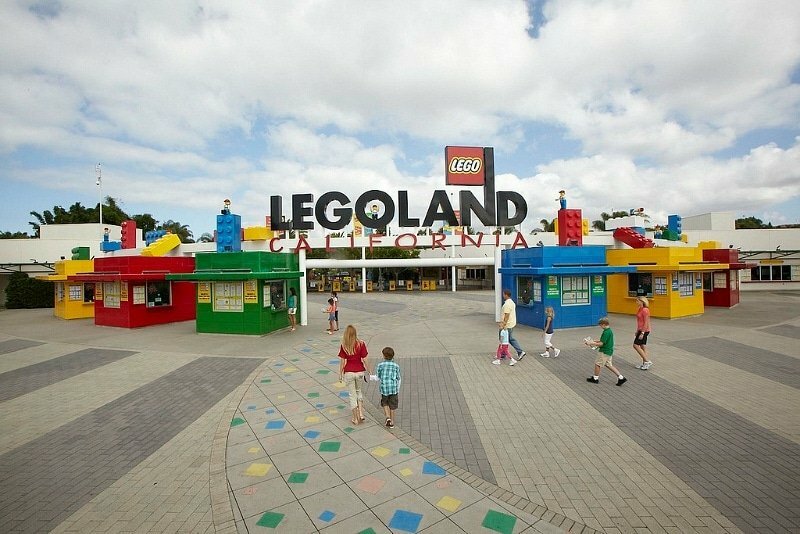 Enjoy your trip to LEGOLAND California! Thank you for this post. I’m planning a trip to Legoland by myself with 3 kids, ages 8, 5 and 3. Is it doable? I’m worried that there are rides which will not allow us to be together. Hi Ellie – It is totally doable but you are right that there are rides that you won’t be able to enjoy together. There are lots of rides at Legoland that are for children only (no grown-ups), with specific height/age requirements. For example, you would need to queue up twice for Volvo Driving School where your little one can ride the one for ages 3-5, your oldest can ride the one for ages 4-12 and your middle child could ride both…and you watching from the sideline. A lot of Legoland is about watching your children have fun, more than necessarily riding with them. There are some things you can enjoy together, though, like The Hideaways, Fairy Tale Brook, Miniland USA, and Sea Life Aquarium. You all can probably ride the Lost Kingdom Adventure together, too, since the height requirement is just 30 inches. You might want to buy “The Unauthorized Guide to Legoland” to help plan out your day. Have a great time at Legoland!